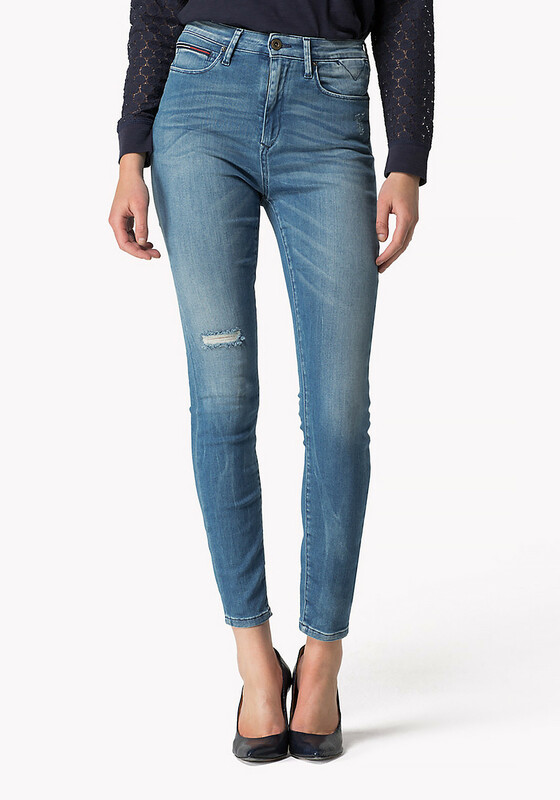 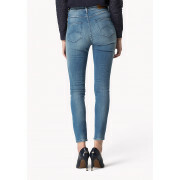 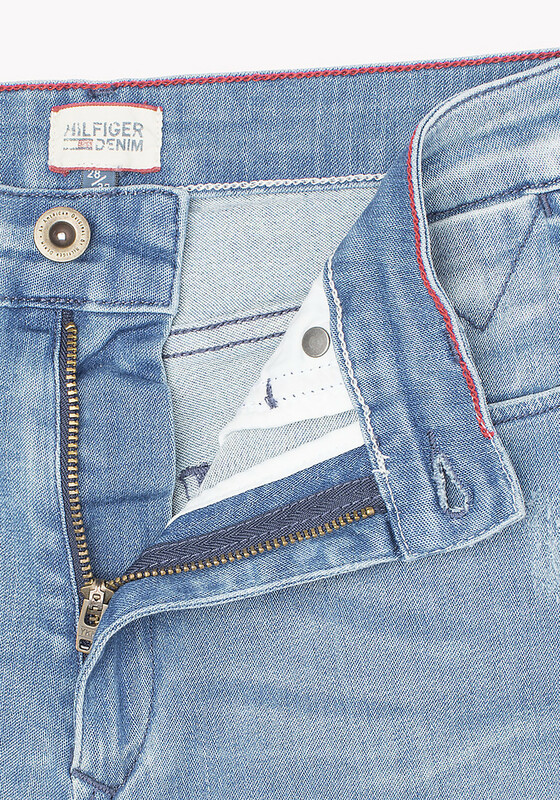 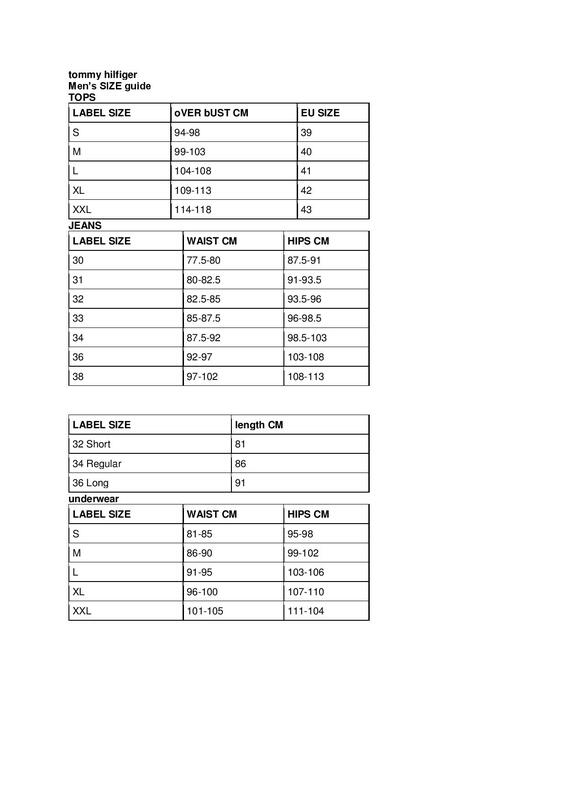 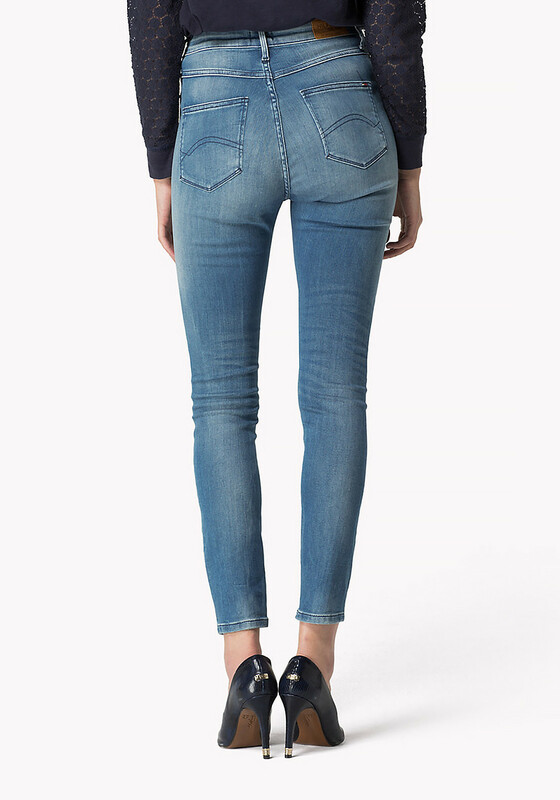 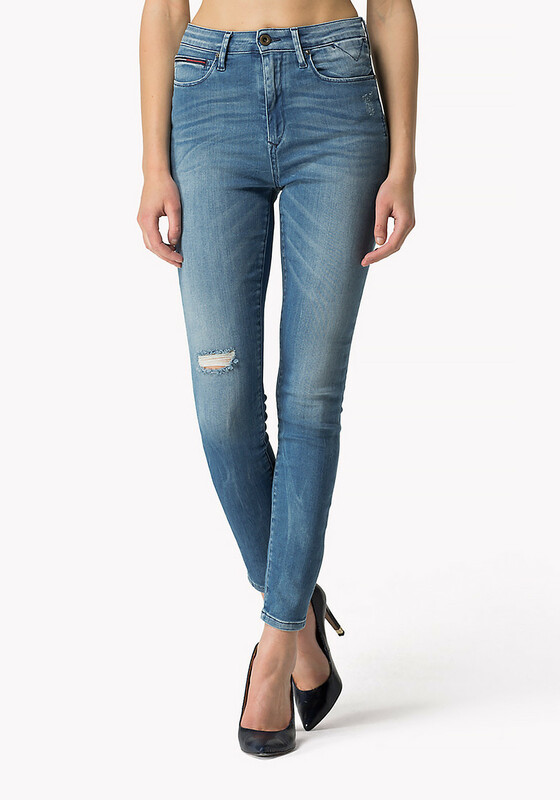 The Skye high waist skinny jeans from Tommy Hilfiger will feel like a second skin, is made from a comfortable stretch material and is presented in a light blue denim. 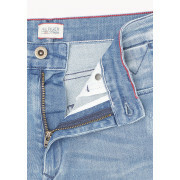 Featuring stylish fading on the thighs and legs with a funky rip on the knee, they are style with five pocket, belt loops, a zip and button front fastening and have Tommy embroidered on the coin pocket and rear waist. 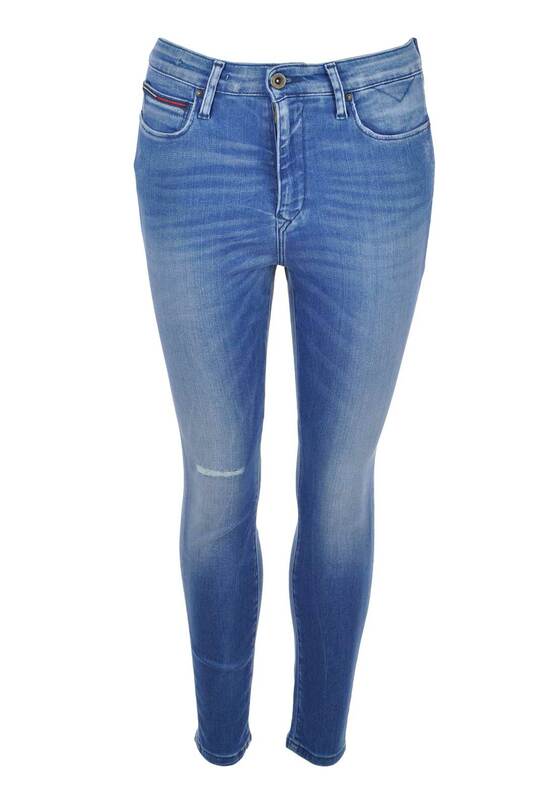 Team with knitwear for daytime and a top and blazer with heels for after work drink with the ladies.